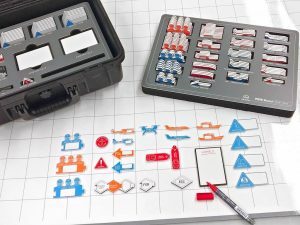 Use simple but effective visualisation tools to understand and manage dynamic conditions. 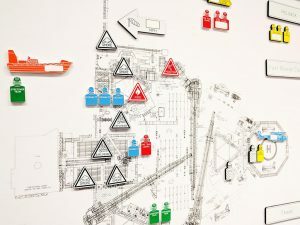 Understanding the location and status of personnel and response equipment – as well as changing environmental conditions is a significant challenge for most emergency response situations. Tools and equipment that help visualise the location and extent of a developing situation are powerful aids to management and communication. 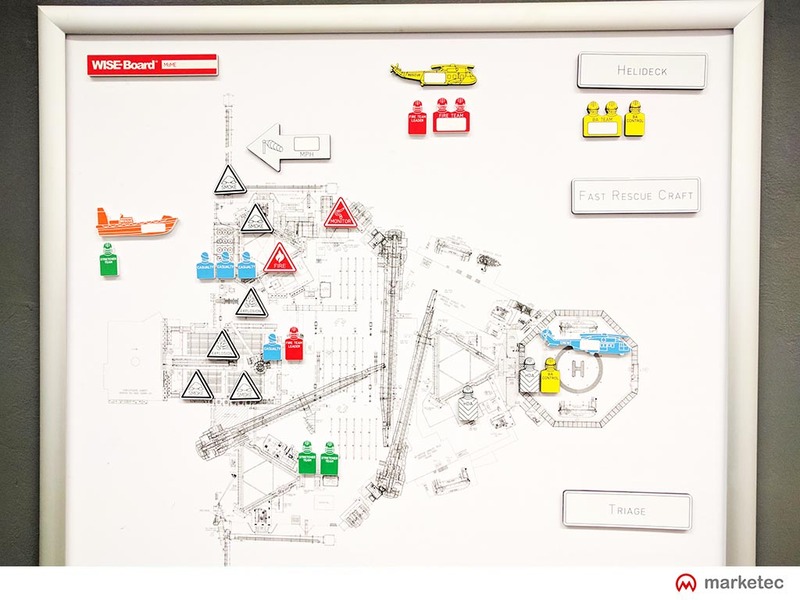 Collaboration with safety and emergency planning staff has enabled the development of several tools and tracking systems for emergency response applications – for use on magnetic whiteboard, magnetic Whitemat surface or table-top. Maritime New Zealand Whitemat Maritime NZ is the national regulatory, compliance and response agency for the safety, security and environmental Read more. OOGTK – MoME Set Keeping track of people, equipment and changing conditions during an incident or emergency response is difficult Read more.